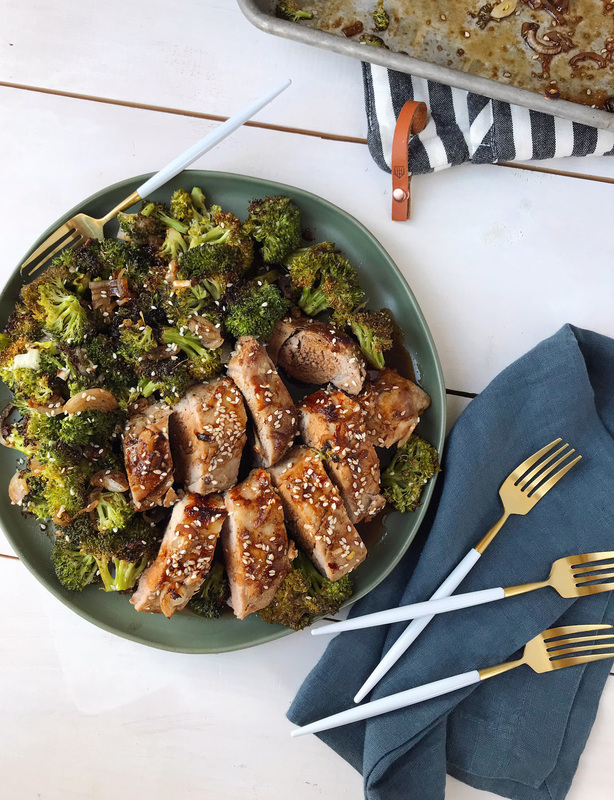 Sesame Ginger Pork Tenderloin and Roasted Broccoli. Combine soy sauce, vegetable oil, sesame oil, grated fresh ginger and minced garlic cloves in a bowl. Whisk together until fully incorporated. Pour ⅔ of the marinade over the pork in a bowl or plastic bag, and marinate for at least one hour. Reserve the remaining ⅓ marinade and set aside. Preheat oven to 375 degrees and add the marinated pork tenderloin to a rimmed baking sheet. Season with black pepper before moving the oven to cook for 15 minutes. 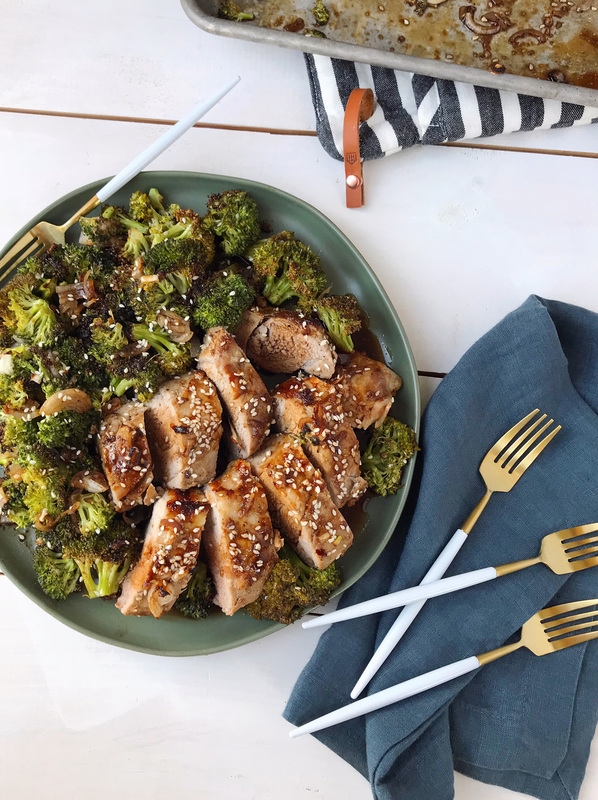 While the pork is cooking, clean and trim the broccoli into small pieces and toss with the thinly sliced shallots and remaining reserved marinade. 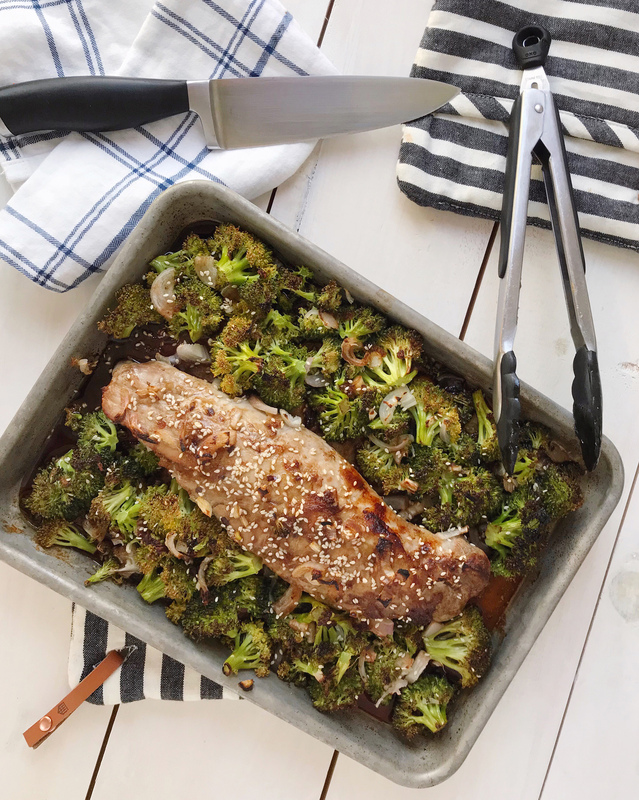 After the pork has cooked for 15 minutes, remove it from the oven and add the broccoli mixture to the pan. Increase the heat to 400 degrees and cook for an additional 15 minutes. 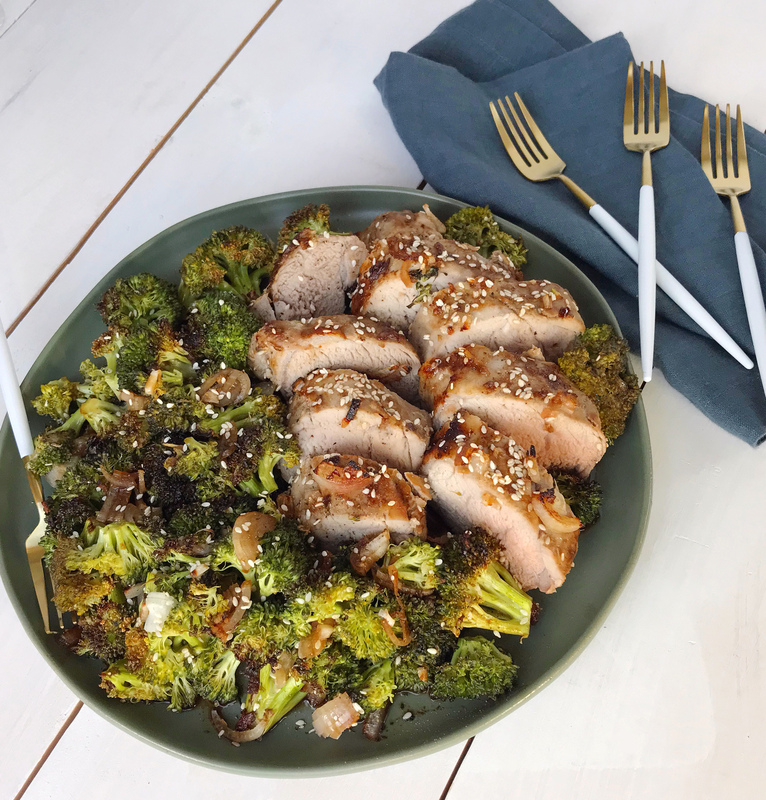 One the pork is fully cooked, pull the pan out of the oven and disperse the sesame seeds over the tenderloin and broccoli. Return to the oven and broil for 1 minute. Linen Closet Makeover. Ask Me Anything: Blogging Q+A.